The best businesses ﬁght for the advantage of having the very best people. Companies who value talent over all else are the companies that prosper – the rest continue in unnoticed mediocrity. We exist to push talent to the forefront. We see things in reverse order to the rest of our industry. By putting talented candidates first, we know everything else will follow. This belief guides how we run our business and how we treat all of our relationships. We’ll always give you clear and honest advice. You’ll always get the straight story. Candour is the key for our candidates and clients who want to grow and get ahead. Helps us define better solutions too. Through our networks we’ve always got our ear to the ground. We’re always improving our knowledge to find opportunities to uncover solutions. We’re experienced knowing the marketplace, clients and talent. Finding the right pathways for our candidates is our goal. Sometimes this means looking for a new frontier rather than taking a well-trodden path. This demands us to be adaptive, challenge convenience, obvious or conventional. Networks matter and give us reach. They accelerate and expand opportunity. Networks help connect talent to talent, peers to peers. We’re committed to always growing our networks for the good of our candidates and our clients. We love what we do. We love to see talented people grow and their careers develop. We celebrate the success of our candidates and our clients. A career is a lifetime adventure and it’s a journey to be enjoyed. Leading Scout, Patrick has worked in management positions for recruitment agencies across the UK, Europe and Asia Pacific. In his spare time, he enjoys warming the bench for his local Dee Why FC. Jamie is the former Head of Talent for Universal Music and prior to that worked for a few globally known IT/Digital recruitment agencies. Jamie heads up our Account Services recruitment. Outside of work, she loves football (soccer) and surfing. 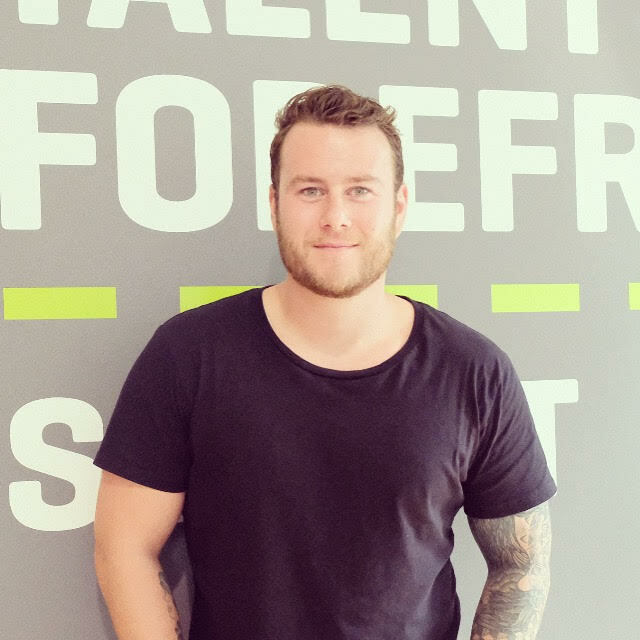 OLLIE HEADS UP OUR STRATEGY AND INNOVATION TEAM HAVING JOINED US FROM MAJOR PLAYERS IN THE UK WORKING WITH CLIENTS SUCH R/GA, VCCP, AMV BBDO, MOTHER, SAATCHI&SAATCHI, BOW&ARROW AND MANY MORE. IN HIS SPARE TIME HE LIKES TO DRAW ON HIS ARMS IN BIRO. JAMES IS OUR NEWEST MEMBER TO THE TEAM WITH OVER 7+ YEARS RECRUITMENT EXPERIENCE STUDYING MANAGEMENT AT MANCHESTER BUSINESS SCHOOL. 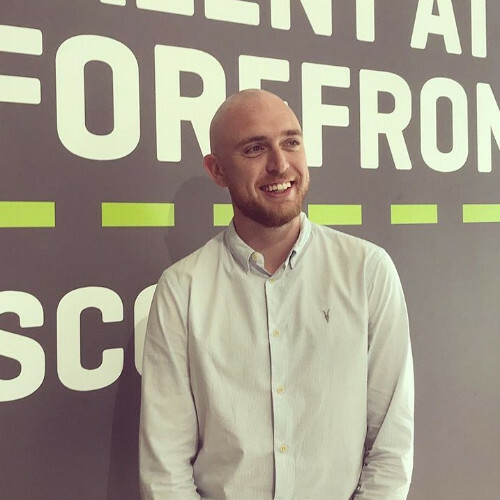 WITH OVER 4 YEARS EXPERIENCE WORKING IN THE CREATIVE MARKETING SPACE, JAMES ALSO HAS A PASSION FOR ALL THINGS DIGITAL SUCCESSFULLY PLACING HUNDREDS OF PLACEMENTS OVER THE YEARS. IN HIS DOWNTIME, HE ENJOYS HIS MUSIC AND IS OPENLY GUTTED HE NEVER WENT ON X-FACTOR. We’re different to other agencies. We’re not afraid to give back and challenge conventional ways of working. We treat our staff like adults. We also take care of their efforts with trips away, nice lunches, flexible hours and more. Oh, you get an extra days holiday for your birthday. Our environment is relaxed with an eclectic range of music on spotify, table tennis tournaments, team events and compulsory Friday drinks. We put the effort in so see the importance of down time too.